all my red lipsticks were tucked far back in my makeup drawer until just recently. lately i've been wearing red on my lips quite often. i usually would wear it at night but i've been feeling comfortable enough to wear it during the daytime. what i love most about wearing red is that it brightens my complexion and it allows me to go easy on my makeup...especially on the eyes! i usually wear eyeshadow, but when wearing red lipstick...i'll ditch the eyeshadow and just wear eyeliner + mascara. on really lazy days, i'll just put on mascara + curl my lashes. it cuts my makeup routine by more than half! 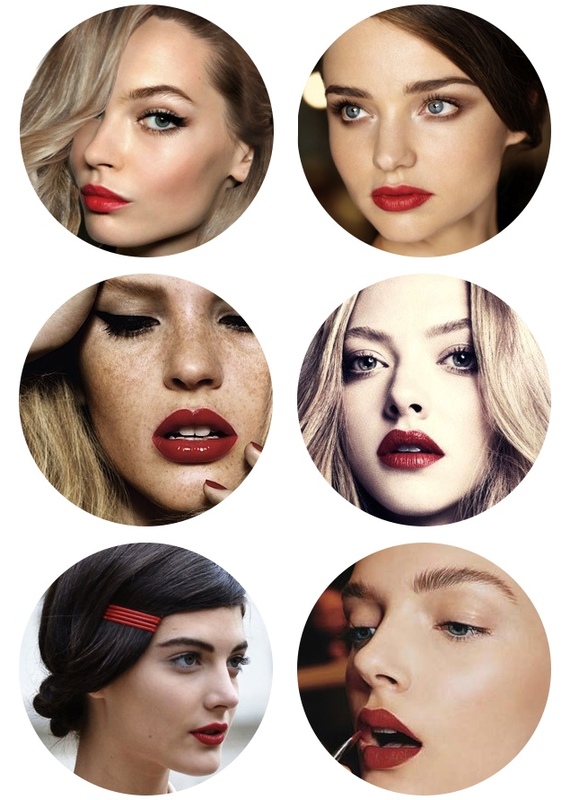 so, if you want an easy makeup routine try the red lips! Love love love red lips. Have you checked out burgundy lips yet?